Brendan James Fraser (born December 3, 1968 in Indianapolis, Indiana) is a Canadian-American actor. Brendan Fraser is the son of a foreign service officer for the Canadian Government Office of Tourism and moved often as a child. He lived in Detroit, Seattle, Ottawa, Netherlands and Switzerland. Fraser attended his first professional theatrical performance in London's West End. He began acting at Toronto's Upper Canada College, where he was a member of the boarding Seaton's House, and later received his Bachelor of Fine Arts at Seattle's Cornish College of the Arts. He originally planned on attending graduate school in Texas but stopped in Hollywood on his way south and decided to stay in Los Angeles and work in movies. His first film role was in Dogfight (1991), and he has since garnered over 30 film credits. He had his first lead role in Encino Man (1992). Then he played alongside Matt Damon, Ben Affleck, and Chris O'Donnell in School Ties (1992) and Viggo Mortensen and Ashley Judd in Philip Ridley's The Passion of Darkly Noon (1995). His breakout role was in the title role in 1997's George of the Jungle. 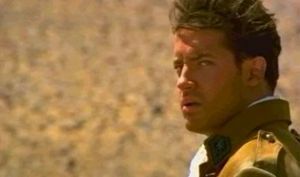 His best known role came in the 1999 hit film The Mummy which he reprised in the equally successful sequel The Mummy Returns (2001). In 2000 he starred in Bedazzled, a remake of the 1967 film of the same title. Recently he appeared in the Academy Award-winning film Crash. He has also made guest appearances on the television shows Scrubs, King of the Hill, and The Simpsons. Fraser married Afton Smith on September 27, 1998, and has three sons, Griffin Arthur, Holden Fletcher, and Leland Francis. He holds dual Canadian-U.S. citizenship and speaks fluent French. Fraser is also an accomplished amateur photographer. In March 2006, it was announced that he would be granted a star on Canada's Walk of Fame, the first American-born actor to receive the honor, though as of 2006, he does not have a star on the Hollywood Walk of Fame.Fraser is set to return for the third installment of The Mummy trilogy in 2008 or 2009.